This plan combines a wedding ceremony held at the American church and a photo shoot session around Paris. 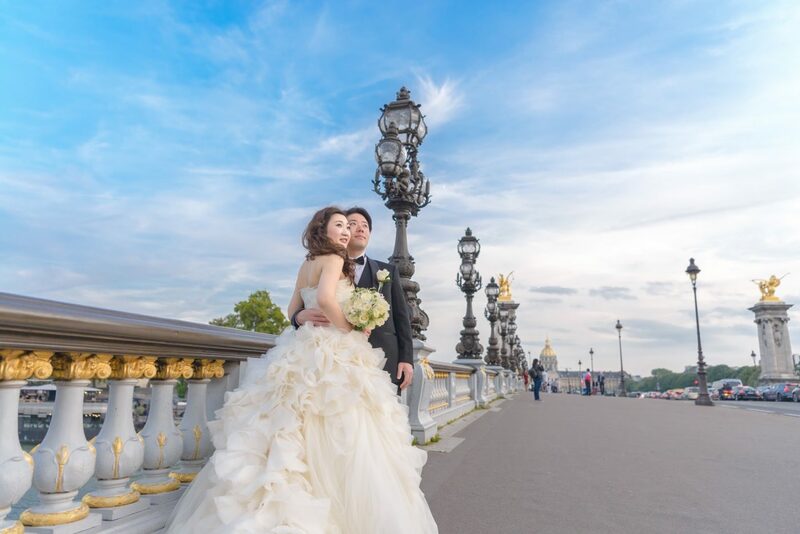 After the stress of the ceremony, relax and wander in the three spots of your choosing, glowing with happiness among the historic and marvelous landscapes of Paris. Examples of photo shoot spots: the Eiffel Tower, the Alexander III Bridge, the Arc of Triumph, the Vendôme square, and the Bir-Hakeim Bridge.